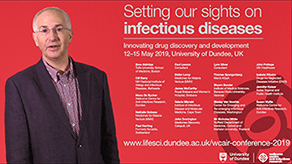 The Wellcome Centre for Anti-Infectives Research (WCAIR) invites you to join us in Dundee from 12-15 May 2019. 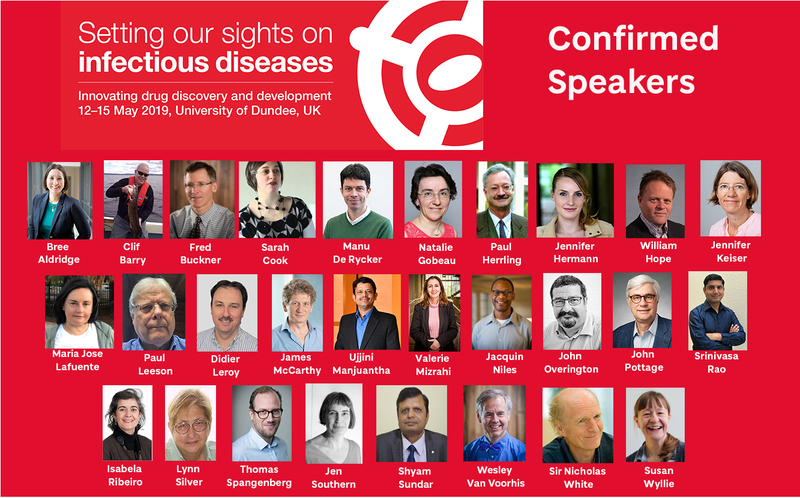 The aim of the conference is to harness cross-disciplinary and cross-disease learning to accelerate drug discovery and reduce drug candidate attrition rates for infectious diseases affecting low and middle income countries. Conference attendees will take home new ideas and technologies which have been demonstrated to work; applying them to diseases where challenges to drug discovery are hampering progress. Watch Prof Ian Gilbert, Professor of Medicinal Chemistry, introduce the conference. The draft programme can be downloaded from the righthand sidebar. For the latest conference information follow @WCAIRDundee #SOSID2019 . Social events will include a welcome reception at the School of Life Sciences on Sunday evening; Dinner at Discovery Point with the opportunity to visit the RRS Discovery; a reception at Dundee's newest landmark, the V&A Dundee, with the opportunity to network while viewing the latest exhibition - Videogames: Design/Play/Disrupt . The deadline to submit abstracts for the poster sessions and short talks has now passed. Posters will be set up in the Dalhousie Foyer and level 1 gallery where the breaks and lunch will be hosted to ensure maximum time for interactions at the posters.